For the 4th year we organized our official long weekend. 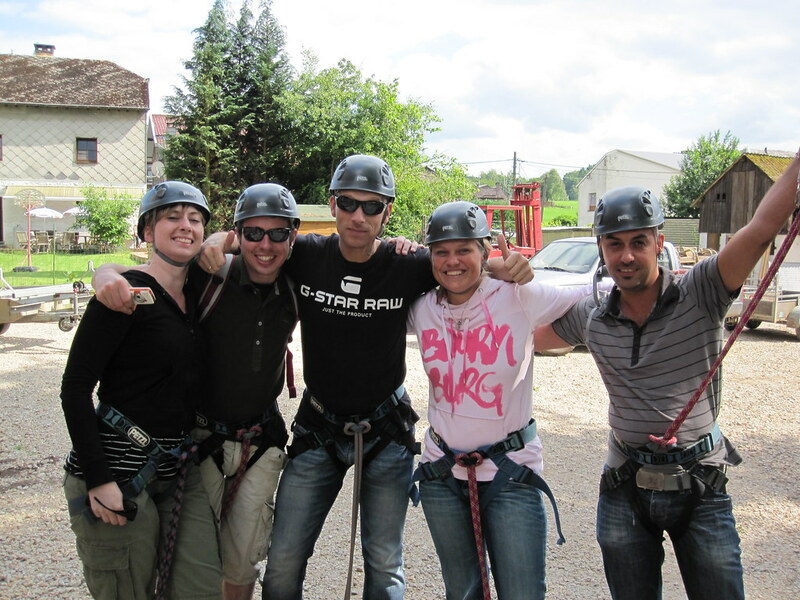 This year we went to the Belgium Ardennes for an adventure filled trip with the Dutch office of Indivirtual and Sentia. Our long weekend is also open for partners of our employees, so all husbands and wives of our staff could see what our company is all about. We rented a huge villa in Spa (see picture). From this villa we had a choice of activities, all organized to perfection by Stephan Compagner our Management Assistant. People did: mountain biking, quads (four wheeling), high rope challenge, kayak trip, swimming, cocktail workshop, midnight dropping, archery (bow and arrow), visting Spa and just enjoying a lot of good food (by private chef Jesus) and drinks in a gorgeous villa with a fantastic private park. It was great, thanks to everybody that was there. Check out the gallery below for images and videos!